How Far is Jayabharath Cosmo City? 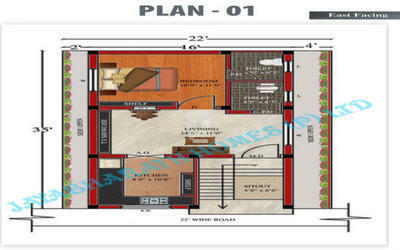 Jayabharath Cosmo City offer you a choice of four lavish plans for your home. Each type of plan is unique in design. All you have to do is choose the right plan for your home and we will do the rest. RCC structure with necessary columns, beams, lintels, sunshades and slabs as designed by Architect. External walls with 9” thick and internal wall-partitions with 4½”, brick masonry. 2 X 2 Vitrified tile flooring in all rooms, kitchen, balcony are in the antiskid ceramic tiles. Entrance door in Solid wood frames shutters Solid Wood panel shutters finished with Varnish or lacquer polish. All other doors will be of country wood Frames with Flush doors and finished with enamel paint. One Wooden wardrobe made of HDF panel boards will be provided in all bedrooms. All toilets will have one EWC one wash basin of ordinary color. One more wash basin will be of ordinary Color in dining area. Provision for Geyser connection, Ceramic tile flooring and Wall glazed tile dado of 7 feet ht. Cold water external plumbing, Soil and waste water lines in P.V.C. and hot water in CPVC. One bore well fitted with pump and motor with facility to pump water to the over head tank will be provided. Concealed wiring to suit Three phase Supply, 15A plug points will be provided for AC and Geyser. 5A plug points will be provided for grinders, mixies, refrigerators and washing machines. Ready to fix sockets for T.V., Telephone and intercom connections in the Drawing room & master bedroom. Sump of 2,000 litres and Overhead Sintex tank of 1,000 litres capacity will be provided. One Septic tank of 2,000 litres capacity and one Soak Pit of 1,000 liters capacity will be provided. Jayabharath Homes is one of best construction company in madurai. Jaya Bharath Homes operates out of spacious modern offices, located at 194, Vaigai colony, 80 feet road, Anna nagar, Madurai-20, in the heart of the city. Our offices reflect our futuristic outlook predominantly chrome and glass, fully networked and computerised, graced by select pieces from our excellent art collection. We are constructed many group houses, row houses and individual residential flats in and around madurai. We are the best construction company in madurai. Over the years, we have constructed luxury apartments, residential enclaves modern offices, showrooms, state-of-the-art software facilities and a multi-storey industrial complex. At any given time, we have a range of projects that are in various stages of conception and creation.We have progressively introduced value-enhancing features to our buildings. These include advanced fire and security protection systems and technology like the Integrated Building Monitoring and Security System, which centrally monitors all building functions and systems. This has enabled us to increase building efficiency and ensure the continual comfort of its residents. We were also one of the first to incorporate eco-friendly measures like rainwater harvesting and waste recycling systems into our projects. We 'Jayabharath Homes started our construction work on 1984. With the name of Jayabharath construction. Our concern joined (P) ltd' hands with real estate too with construction. We glowed tremendously in the year of 1996 with the share holders and we have attained the title of (P) ltd. With efforts and customer satisfaction. Continuing this we constructed many group houses, row houses and individual houses. The joined hands of Managing Director, and other Directors, Architect, Chief Engineer, Project Engineer and others made us to construct more and more hundreds of houses in full swing and made our customers more comfortable with full satisfactions and our success also having the reason of latest technologies used by us imported for abroad. We work with full effort to shine and look different from other promoters. We try to bring more and more beautiful houses which will give full satisfaction for our customers / parties. Our specialties are automatic shockabshoer dining table, inner cooling wall putty, vertified tiles and others which are unique features of Jayabharath Homes (P) Ltd and these differentiate us from other builders. 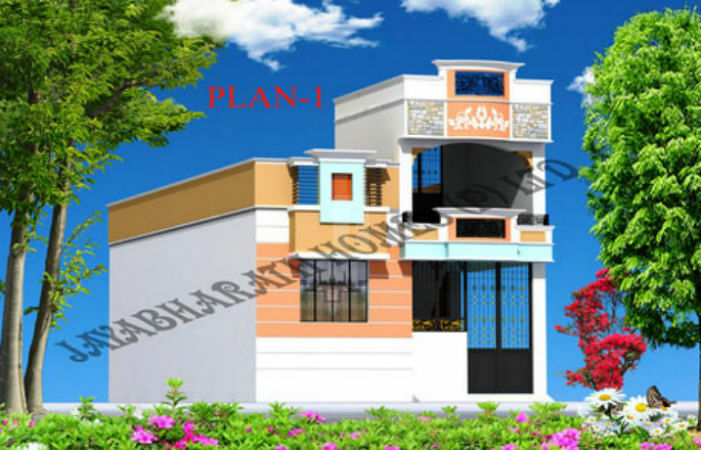 Each and every house under our construction is built with full care and efforts to give out best for our customer's satisfaction with proper planning by our Architect, Chief engineer and other Engineers who, work for the best out coming. Our individual houses is protected with four side compound walls, water heater provision in each house, granite in kitchen, tiles in bathroom and these comes out beautifully at the end of completion construction.